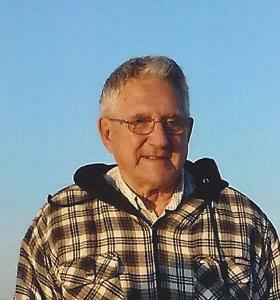 Mr. Hume D. Thistle, age 83 years of Lynn, died unexpectedly in his sleep Saturday Oct. 6. He was the husband of the late Priscilla “Libby” (MacNeil) Thistle with whom he shared 60 years of marriage. Born in Searsport, ME, he was the son of the late Hume W. and Shirley (Salisbury) Thistle. He attended Lynn schools and graduated from Lynn Vocational Technical High School, Class 0f 1955. Hume was employed as a Heating and Air Conditioning Mechanic at the Max Sontz Company in Lynn for many years. He was a member and past Deacon of the First Baptist Church in Lynn, the Disabled Veterans, the Paralized Veterans, a member of the former Damascus Lodge and Mt Carmel Masonic Lodge in Lynn. Service Details: Visiting hours will be held at the Parker Funeral Home 35 Franklin St. Lynn, Ma. 01902 on Friday from 4:00 – 7:00 PM Services will be held at The Funeral home on Saturday at 10:00 AM to which relatives and friends are invited to attend. In Lieu of flowers please send donations to: Alice O’Neil Challenger Little League, 26 Nichols Street, Swampscott, Ma. 01907.